An enchanting way to learn the sounds of the alphabet. A story, rhymes and song collection on CD. 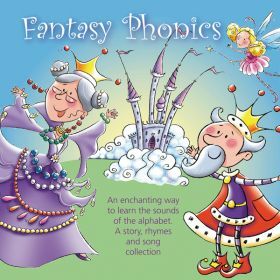 Fantasy Phonics is built around the imaginary and magical world of Fantasyland - a place that taps into children's favourite childhood fantasies. Each letter of the alphabet is represented by a character or object that appeals to children; for when a child's imagination is captured and they are enjoying themselves, then they will learn. Included with this delightful CD is a booklet containing notes and illustrations about Fantasyland and its characters. 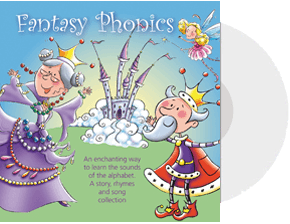 Fantasy Phonics is written in accordance with the Early Years Foundation Stage Curriculum. Click here for a sample of the letter sounds. Also available (without the booklet) on iTunes, Apple Music, Amazon Music, Spotify, Google Play and Deezer, using the links below.